Something sweet, yummy – Enjoy! 125 g melted butter, use as your base in baking dish. 2 x (80 g) pkts jelly – 1 raspberry and 1 strawberry both dissolved in 125 ml boiling water. Let cool down slightly. Add 1 tin condensed milk to jelly mix and 500 g low-fat berry yoghurt. Mix together. Whip up 250 ml fresh cream until thick and fold into the yoghurt mix. Pour over your tennis biscuits. 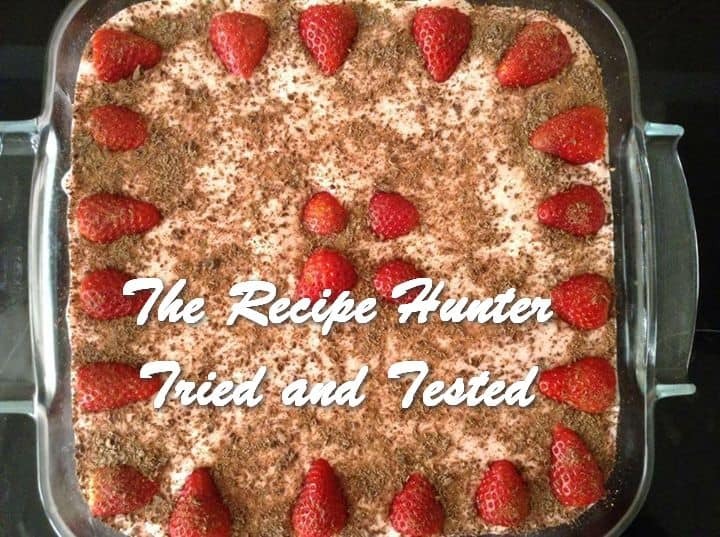 Decorate with fresh strawberries and grated chocolate.